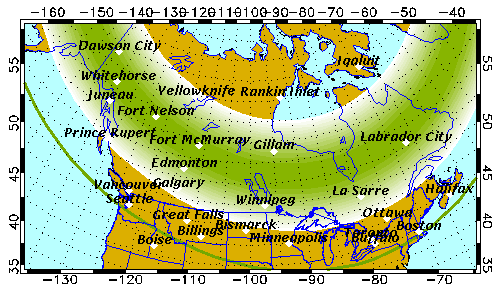 Northern Lights may be strong enough to be seen across much of Canada on some nights, including Toronto and Ottawa. Here are some tips to improve your chances. Above is the light pollution map from Dark Sky Finder. Big cities look depressingly bright, but it is not the end of the world - just get away from lights as much as possible - even a city park or a football field will do. They are called Northern Lights for a reason, and the you only see them overhead in places like Yukon, Alaska or Finland. If you live as far south as Southern Ontario, you must look for them near the northern horizon. If you live in Toronto or Ottawa your best bet may be a window of a high-rise with northern exposure, or an edge of a big field (a park or a football field). Whether you see a well-defined "folds", greenish glow, or nothing depends on the current strength of solar wind (see below). 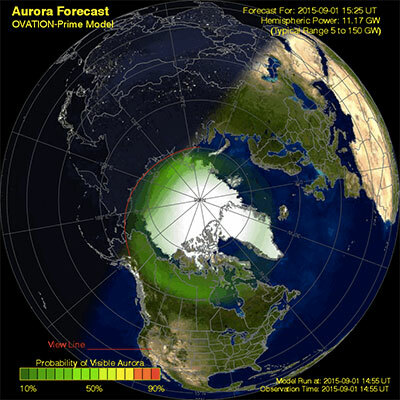 In addition to long-term forecast, short-term forecast tools are available at Aurora Service and University of Alaska's Aurora Page, where you can see if Northern Lights are imminent in your area. 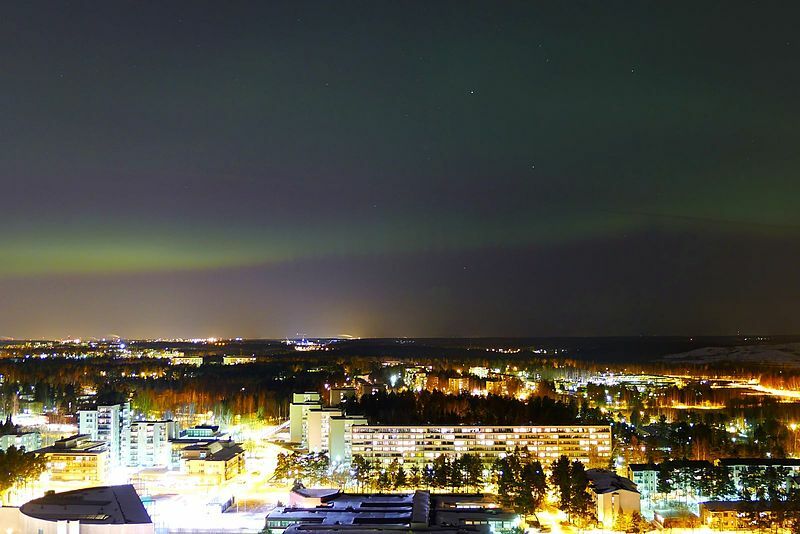 Even a strong geomagnetic storm can cause spectacular northern lights in Europe, yet largely miss similar latitudes in North America, or vice versa. There are chances many people will be watching out for the lights - and some of them will be tweeting! Whenever lights are visible, twitter picks it up first with many first-hand accounts in real time! Step 6: Didn't see anything? Subscribe for Parkbus news below! 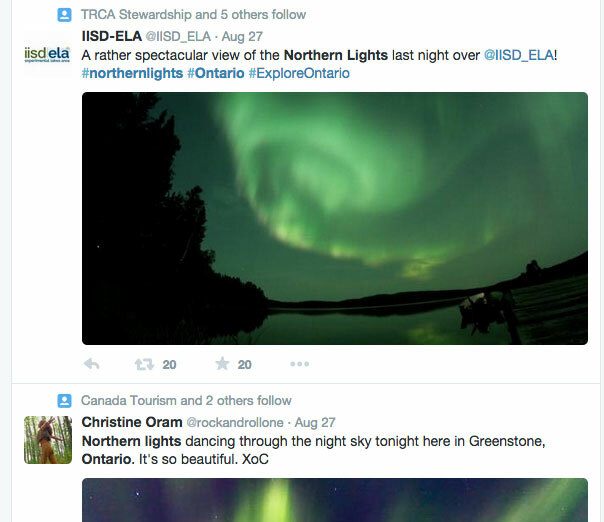 We keep track of all the solar activity and email everyone on our list when the next Northern Lights viewing opportunity occurs in Toronto or Ottawa areas. 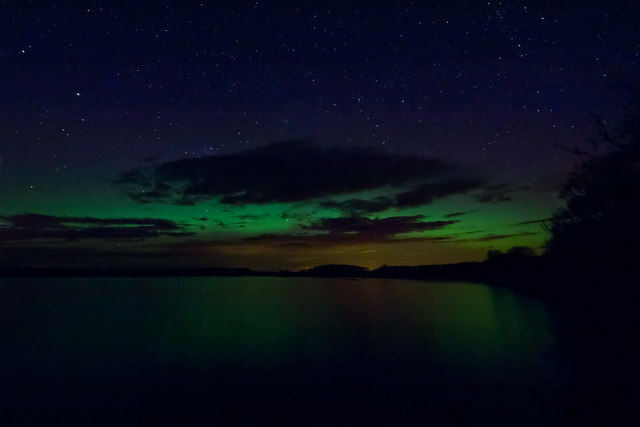 Our Blog: See Northern Lights!